"Blue Galaxy, Caisteal is a sci-fi fantasy themed shop and furry hangout sim. Explore our sim to find hidden hang out spots and suprises. Home of the Blue Galaxian and Solarian avatars." Blue Galaxy is a Neko / Furry store, predominantly feline although other anthropomorphic animals are also available here. So far as I can ascertain, Neko is humanimal hybrid with mostly human features while Furry is humanimal hybrid with mostly animal features. 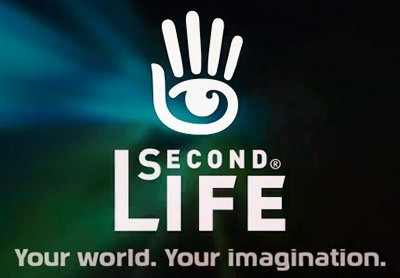 It is not something I am big into and it does seem to be something which SecondLife is a core cultural development of (outside of Japanalia). As a simple rule, ‘furries have all the best stuff’ - because the designers are dedicated and talented at a higher level than most non-furry designers. The chunky quality of furry stuff is its own style, very cutesy. It has appeal. It grows on you. Like that stray cat who keeps coming back and you end up adopting. Furry culture is a core form of the development of cyber-sexuality. Games Developer and SL professional. I am an avatar and clothing creator. I'm sorry I don't accept friend requests. IMs asking for custom work will be ignored.